Anyone who suffers from acne has a teen or adult understands just how stressful it can be. Sometimes it just feels like everyone is staring at your skin. Hiding pitted acne scars can be equally as frustrating. When you use the wrong products, the more that you apply, the more they show! The good news is, while you work to treat acne scars, such as pitted, rolling, boxcar, or icepick, there are ways that you can cover them up. It all starts with a great skin care routine, and ends a foundation formulated for acne. If you suffer from acne and other types of scars, read on to compare some of the best makeup products specifically formulated for pitted acne scars. Related: If you need a GREAT face mask to clean and refresh your skin - Don't forget to check out our Lush Mask of Magnaminty Review! This high-end American coverage concealer by the luxurious Merle Norman brand is one of the best choices for full camouflage coverage. Based out of Los Angeles, California, this brand is one of the most well-known for addressing specific beauty needs of women, including acne scars and blemishes. Merle Norman is only available through independently operated and owned Merle Norman Cosmetic Studios located in Canada and the United States. Merle Norman Maximum Coverage concealer corrects uneven skin and will hide just about anything. This waterproof formula stays put for long-lasting wear, beautifully blending for soft matte finish. The foundation is available in tone-correcting and skin color shades great for eczema and dark spots. When Merle Norman Maximum Coverage Concealer says that they cover everything, they really do cover it all. This formula helps to fill in spaces left by pitted acne scars for a flawless finish. With this cover up concealer, no one even has to know about your skin blemishes. The best part? It’s long lasting, doesn’t sink into fine lines, and doesn’t crease. What more could one want out of a full coverage makeup solution? 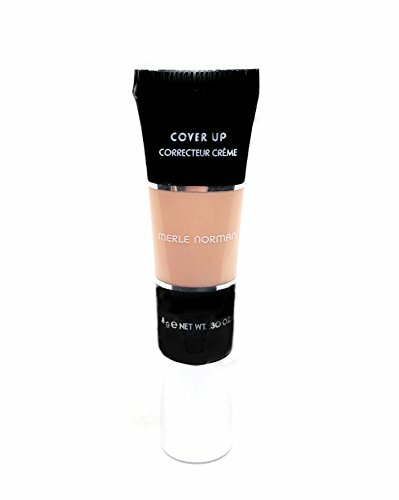 Because this cover-up is formulated for full coverage, it is somewhat thick. Some users feel as if it doesn’t spread as well as it could. Furthermore, the product is only available at Merle Norman retailers. Boo-Boo Coverup is a mid-range product praised by Allure, Cosmopolitan, RealSimple and Fitness. It’s proprietary combines the two things that your acne needs most: medicine and makeup coverage. 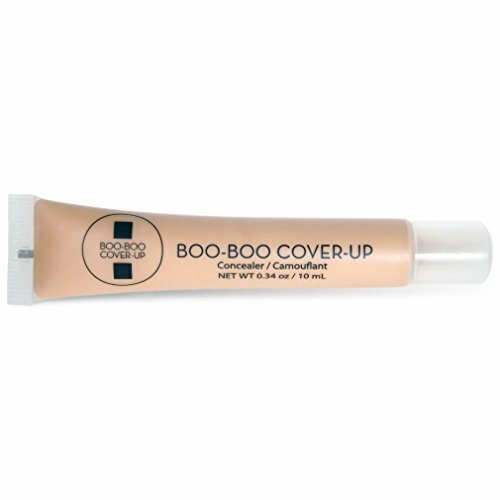 Boo-Boo Coverup truly heals while it conceals, making it a top competitor in acne treatment and makeup today. If you want to look your best while speeding up the healing process, then Boo-Boo Cover-Up is the best choice for you. This Boo-Boo product is specially formulated with powerful healing ingredients like soothing tea tree oil, aloe vera, green tea, chamomile, and vitamin E.
The innovative formula seamlessly hides acne, scars, bug bites, and other imperfections while repairing your skin. Not only will your skin love it, but it’s long-lasting too! A little of this product goes a long way. Not only does the Boo-Boo Coverup Concealer make your skin feel great, it doesn’t fade or crease throughout the day. It isn’t greasy, it doesn’t cake, it simply conceals. Compared to other acne coverup solutions, this one really heals and even clears skin with consistent use, paired with a great skin care routine of course. Unfortunately, people with severe scarring don’t feel like this product is produced as advertised. Although a little of this product goes a long way, we don’t feel like the .34 ounce tube is worth the full $20 price tag. Shades are only available in a select few colors, so more than one must be purchased for an exact match. With multiple purchases needed for an exact match, the price can add up quickly. 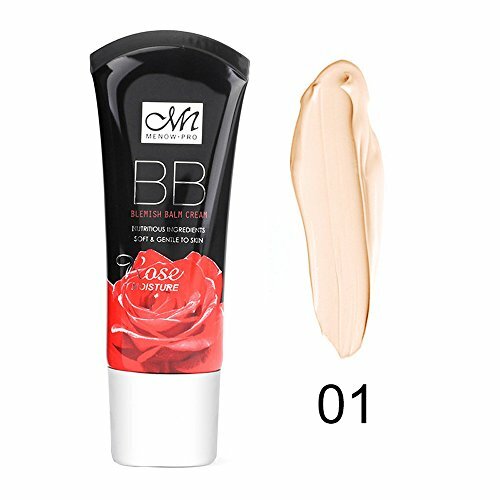 This low-cost full coverage mineral tone-correcting cream is created by Hunputa BB Cream. Hunputa BB Cream specializes in natural looking formulas that cover acne and dark spots. Great customer reviews and it’s low-price make this a great option for those looking to cover blemishes on a budget. Hunputa BB Cream’s full coverage mineral tone-correcting cream gives you just enough foundation for flawless coverage of dark spots on acne. Its silky, metallic texture provides an exquisite, smooth look that is easy to apply. The formula is complete sweat and waterproof for all-day wear that doesn’t cake or crack. This long-lasting daily tone-correcting face cream is one of the best ways to visibly reduce redness. Its lightweight formula means that it is easy to apply and easy to remove. Those that have used Hunputa’s BB cream say that it provided the perfect amount of coverage for light blemishes and freckles. Although those with minor skin blemishes such as spots and freckles said that the formula worked well, there simply isn’t a lot of reviews that mention full coverage for pitted acne scars. With the low cost however, we suppose that it wouldn’t break the bank for others to give this product a try. Although those looking for immediate coverage might prefer going siding with a different product. Hands down, the best product for pitted acne scars is Merle Norman’s Maximum Coverage Concealer. This high-end American brand has been a leading producer of heavy coverage makeup for over 85 years. Although the product price is on the higher end, we believe that you truly get the most “bang for your buck” with this product. 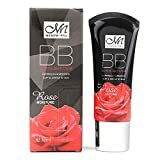 Not only does this product provide high quality maximum coverage hiding any and all skin imperfections, it is long-wearing and makes your skin look like porcelain. We feel that that this product is well worth the trip to a Merle Norman Cosmetic Studio, where you will get matched to your perfect shade. 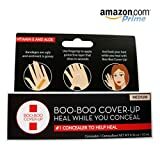 If you are looking for lighter, healing coverage, Boo-Boo Coverup Concealer is a great choice to clear up minor skin blemishes while looking flawless all day.